Housing is a basic indicator of the well-being of a population, it is the bedrock of a family’s wealth, a crucial factor in development and social inclusion, and a yardstick for monitoring economic growth and competition. With this in mind, the Cartes government tackled the problem head on, as no previous government had done before, focusing on the most important metropolitan area of the country — Asunción — and particularly the area of greatest inequality: La Chacarita. Paraguay has succeeded in delivering over 20,000 homes in 170 different districts since 2013, another 7,000 are under construction and close to 3,000 are planned for development. This is far from the situation of just four years ago, when the Inter- American Development Bank (IDB) highlighted Paraguay’s housing problem: a country in which four out of every ten families were homeless or living in low-quality or overcrowded housing; a much higher figure than in Chile (23%), Uruguay (26%) or Argentina (32%). Despite the presidential palace being just a few metres from La Chacarita — a neighbourhood whose residents are frequently made homeless due to flooding — no other president had taken the problem of inclusion there seriously. As the city has its back to the bay, previous presidents turned their backs on its residents. The area’s unstable geographical features, with four out of every ten dwellings in Chacarita Alta being in danger of slippage, meant that an innovative programme was needed to benefit over 1,000 families. The Minister of the National Secretariat of Housing and Habitat (SENAVITAT), Soledad Núñez, has declared that the government is planning “To achieve social and physical integration in this neighbourhood, which is currently marginalised and which many associate with criminality, lack of security and so on,” adding, “This will be complemented by the relocation of almost 1,000 families from Chacarita Baja, an area which regularly floods, who will be rehoused in the San Francisco neighbourhood, which is now quite advanced.” This project is co-financed by Itaipú Binacional and includes new sanitation works and treatment plants. These works come on top of developments in traditionally overlooked departments such as Tacauaty, Yaguarete Forest and Maracaná. 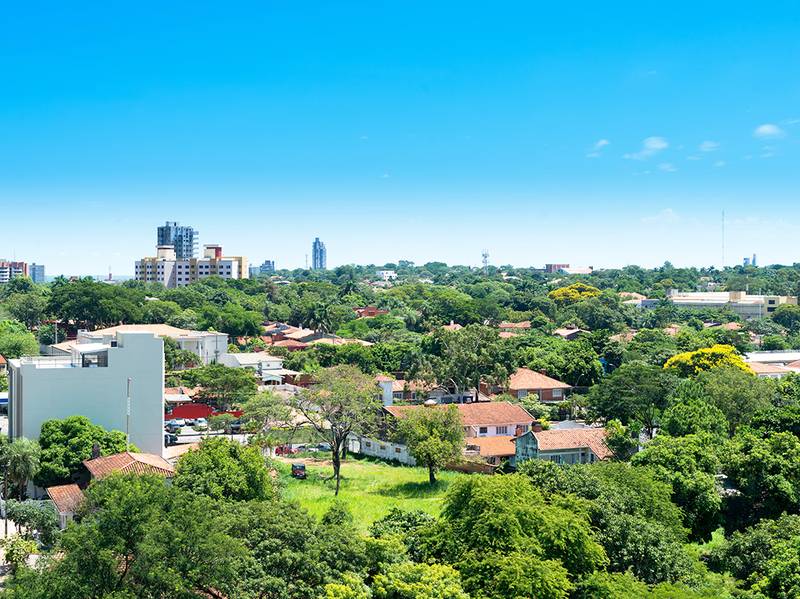 Since 2013, Paraguay has increased social housing by 246% compared to the previous government, according to the Department of Industry and Trade. In just four years, Paraguay has tripled investment in social housing, benefiting over 80,000 people and creating 310,000 direct and indirect jobs. 63% of funds have been allocated to urban areas, which have the highest concentration of families in unsafe dwellings, 24% to rural areas and 13% to housing projects in indigenous communities. In addition, there have been improvements to basic services such as the drinking water network, road infrastructure, the electricity network, and communal spaces, thanks to the implementation of a Socio-Territorial Model. This multi-discipline working model has also successfully reduced spending by over 50%, improving resources for investment by 13%. These are noteworthy advances in a sensitive sector with great long-term potential, given the lack of housing that still exists in a country where over 70% of the population is under 30 years of age. 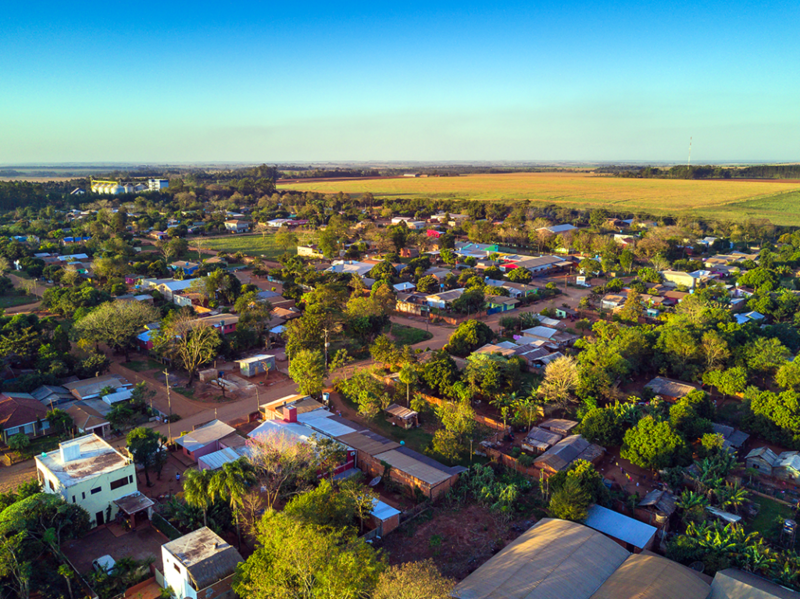 To this effect, Paraguay is also developing management models that include the private sector, such as that planned for the Mariano Roque Alonso complex for middle-income families. The SENAVITAT Minister, Soledad Núñez, says, “We are developing a different kind of management model with the private sector, where the public sector makes development sites with infrastructure in place available […]. We are attracting interest from real-estate developers and construction companies.” The government is therefore drawing up the overarching guidelines for the design, equipment and density of the complex, and installing basic and communal services. Developers are then offered these plots for the construction of housing which will be offered to the public under conditions previously established by SENAVITAT and through financial products designed in conjunction with the Financial Development Agency. The IDB underlines the fact that most of the populations in the largest cities in Latin America cannot access formal housing due to insufficient income, and high mortgage interest rates and housing market prices, as well as the inability to show documented income. The Housing Promotion and Urban Development law was introduced to address this and seeks to establish rules and mechanisms for ensuring access to decent housing in urban areas. It lays out initiatives for the public and private sectors, includes developers in its remit, and offers financing to the private sector. Overall, the Paraguay National Development Plan 2030 aims to reduce the habitable housing deficit by 70%, creating universal access to drinking water, improving sanitation and standardising good-standard access to electricity. Housing is a priority for the current government given the serious consequences of the lack of quality housing in Paraguay: low quality of life for the affected population, social problems of segregation and marginalisation, alienation, insanitary conditions, poor educational performance, and low labour productivity. To date, the government of Paraguay has not only achieved the target it set at the start of its term in office, by dramatically increasing the number of properties completed, but it has also expanded on the traditional concept of housing as a building with four walls by integrating the properties with all the basic services necessary to foster residents’ well-being and their personal and professional development. In Paraguay, less than 60% of the population lives in cities, compared to 80% in Latin America and the Caribbean as a whole. This presents a unique opportunity for investment, as well as giving Paraguay a regional perspective and the opportunity to avoid the negative effects its neighbours have experienced during their urban planning processes. This vantage point will allow cities to be developed in a more sustainable and intelligent way, with suitable urban mobility policies and a complete planning scheme in harmony with current and future needs.